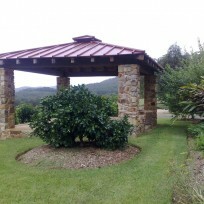 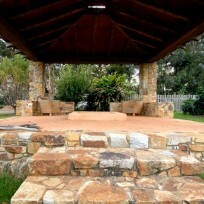 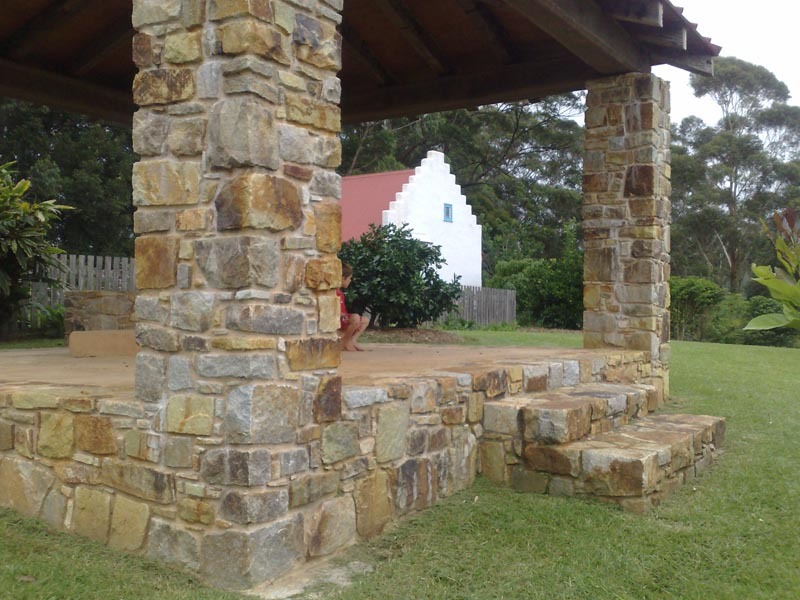 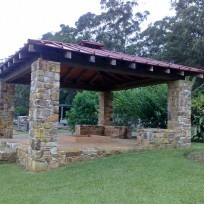 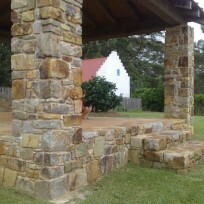 Solid stone designed this open stone building to house a fire pit. 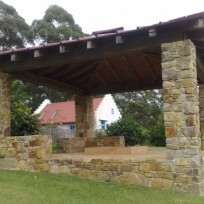 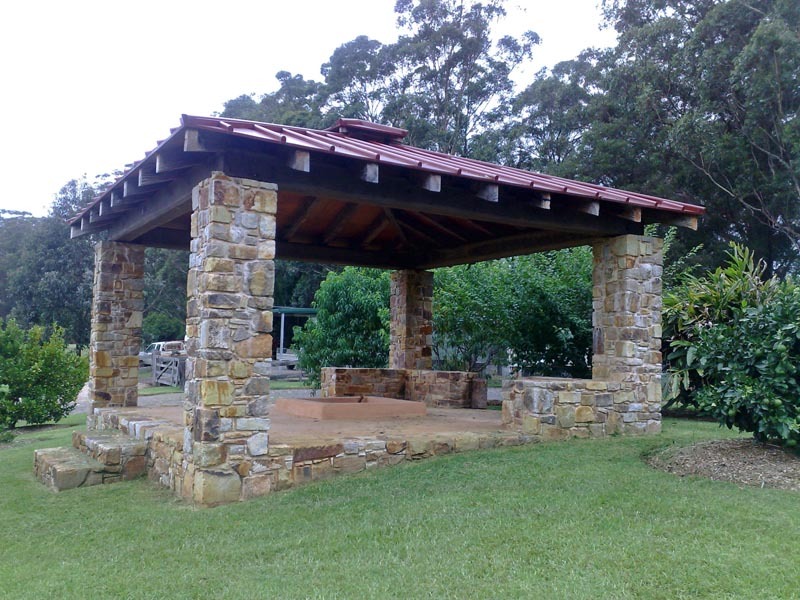 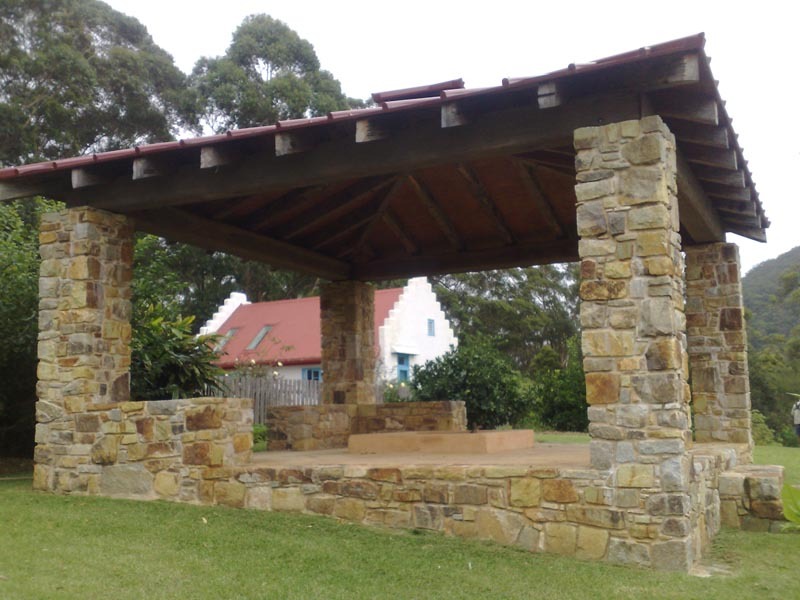 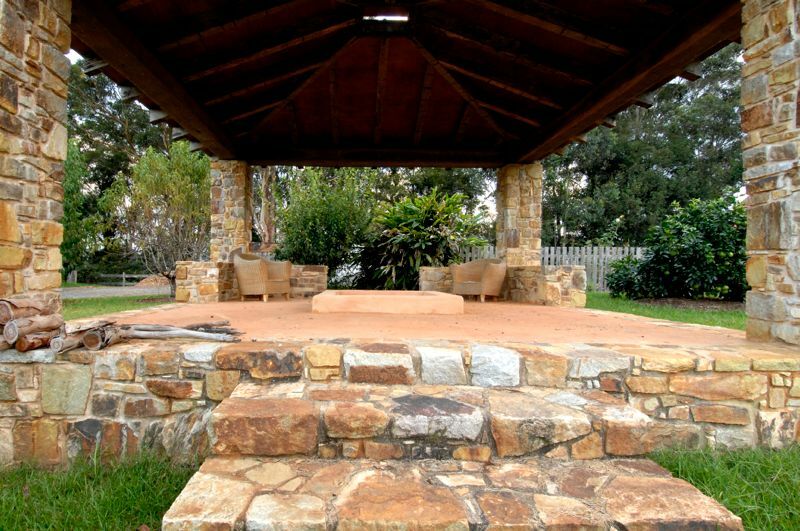 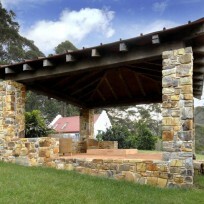 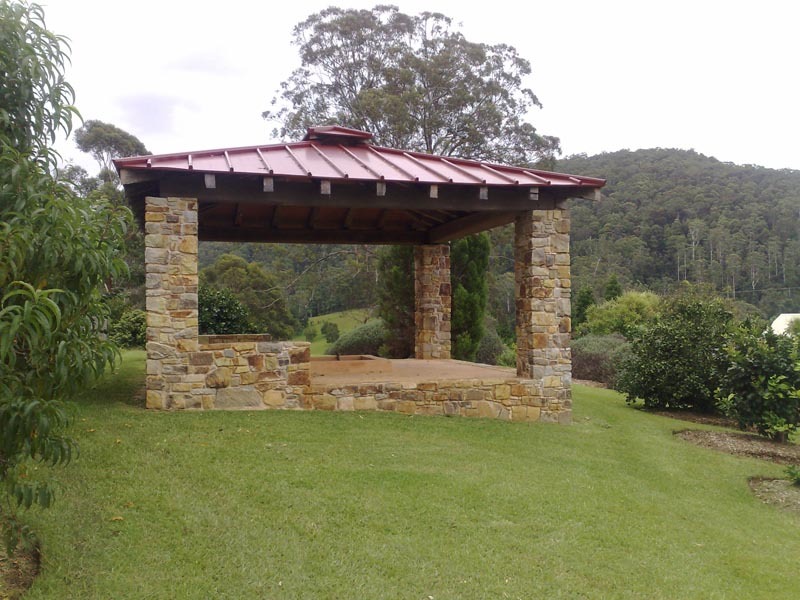 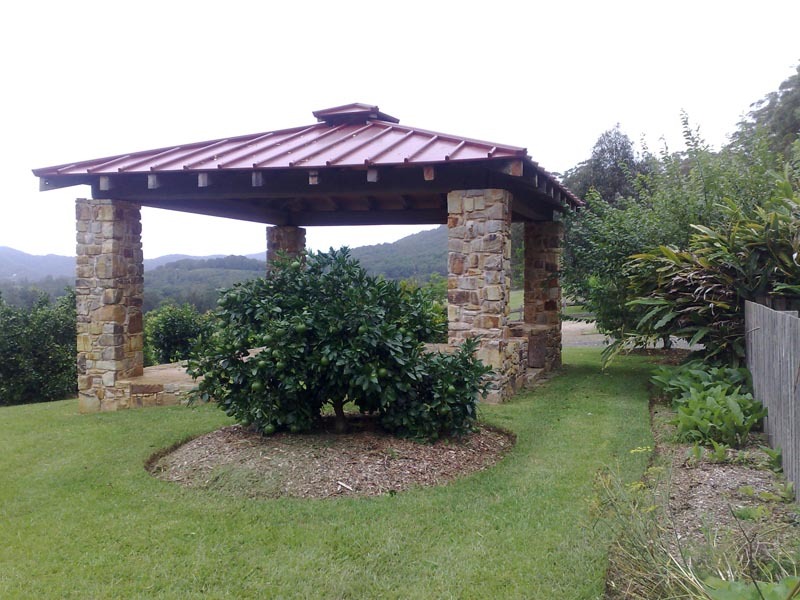 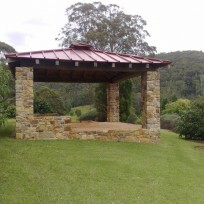 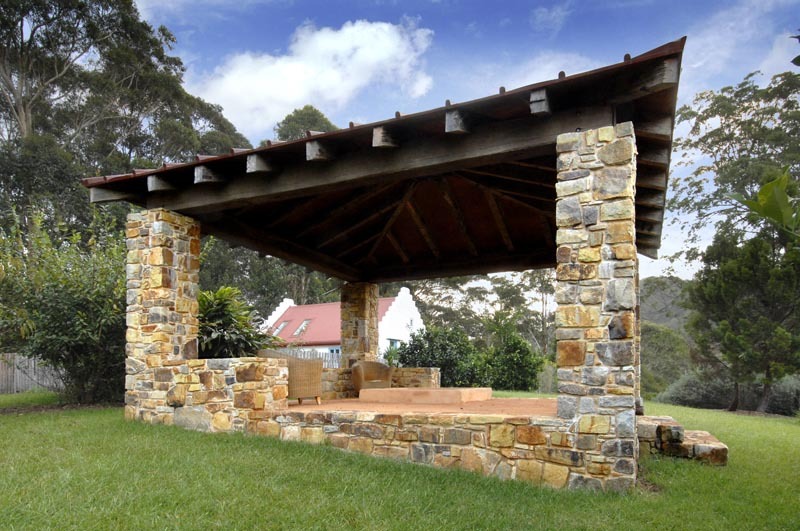 The stone walls are 100% granite, the roof constructed of recycled timber. 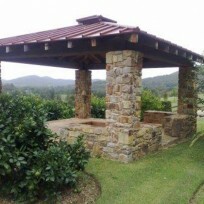 The design of the fire pit is based on the Indian inspired Havan Kund, the floor around the fire pit is compressed earth. 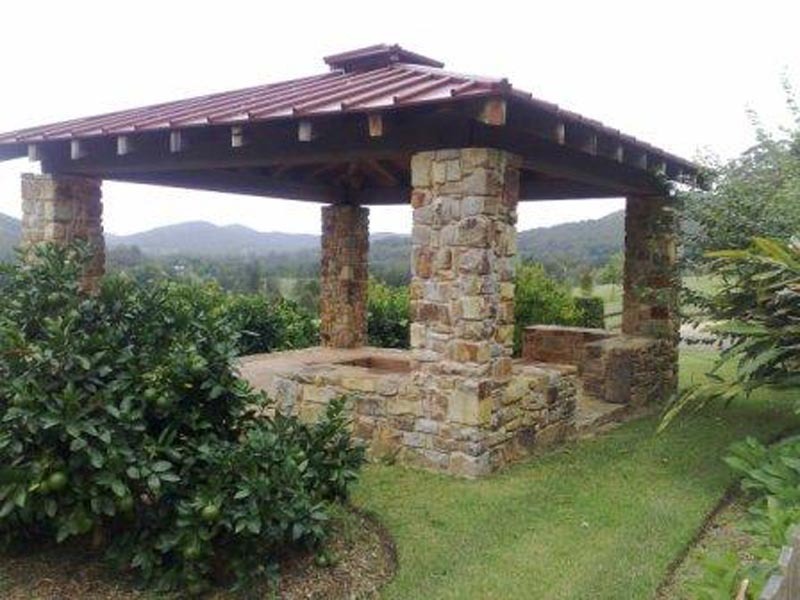 This is a unique and stunning construction.